It isn’t even the spring season and it already seems like Tech baseball is heading in the wrong direction. This past Tuesday it was announced that Head Coach Danny Hall’s contract had been extended by five years to go through to 2021. 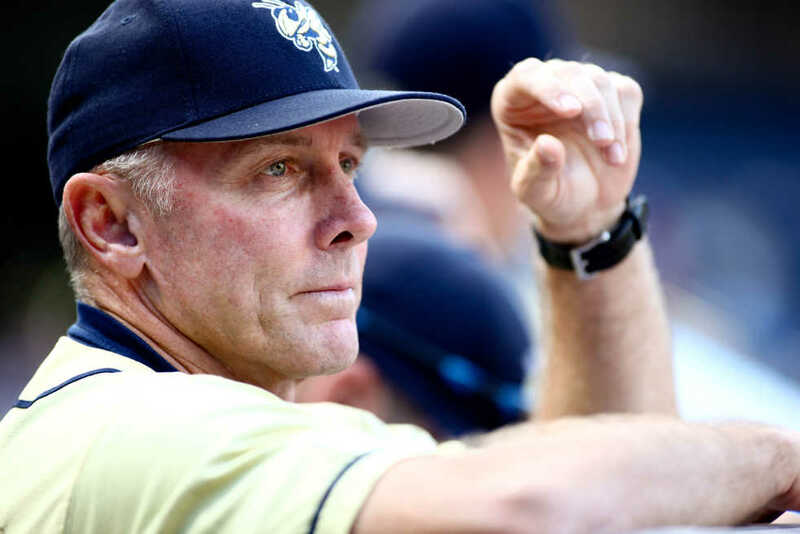 In the article on ramblinwreck.com, it’s mentioned that Hall ranks 28th in career wins in Division I baseball; however, it seems that Tech is more focused on what Hall has done in his early years at Tech than his most recent campaigns in Atlanta. The problem with the stats surrounding Hall is that they are extremely inflated from when he first started coaching at Tech, 12 years ago in 1994. In his first 12 years at Tech, Hall managed to make it to the College World Series (CWS) three times, quite the impressive feat. However, when you look at the past 10 years of his work, signing Hall for half a decade seems more and more like a mistake. Since placing seventh at the 2006 CWS, Hall has failed to guide the Jackets past the regional round of the NCAA tournament. In two of those years, the team failed to qualify and in another four (all in a row), the regional was hosted here at Tech with the Jackets as the number one seed. I can understand not making it far in the tournament every year; after all, down years are expected. However strong starts have to materialize into something more down the stretch, a phenomenon that has not happened under Hall. Another thing to address is Hall’s first year at Tech, in which he guided the team to a second place finish at the CWS, the best ever at Tech. While some of the praise definitely goes to Hall, it seems that more of it should go to his predecessor, Jim Morris. After all, the players who played under Hall that year were all recruited by Morris. Nomar Garciaparra? Jason Varitek? These players were Morris recruits. Hall was the beneficiary of a solid foundation to begin with. The most important thing to see in a coach and a team is improvement. Hall has failed to show that over his 23 seasons at Tech. In fact, his winning percentage has dropped since he first started. Some of that can be credited to his fast start, but no one would confuse last year’s Jackets with a College World Series contender. Responsibility must fall upon the coach. In his first five years at Tech he boasted a 0.682 winning percentage, while he has posted a 0.587 in his past five years on the Flats, a noticeably poorer mark. The final grievance against Hall and his program is his recruitment and care for pitchers. College baseball is gradually shifting towards a focus on good pitchers in general, yet Hall is still set in stone on his more hitting focused style. After the introduction of BBCOR bats it was plain to see that the power of the pitcher increased, and even with changes to the size of the seams on the ball, pitchers are still the lynchpin holding teams together. In addition, it seems that every year, multiple pitchers are hurting their arms, rendering them temporarily unable to contribute to the team’s success. In a period where it seems that every pitcher worth his salt is getting Tommy John surgery, college coaches are expected to develop and maintain a deep rotation. Hall’s pitchers’ ability diminishes in value if they succumb to injury. Because of all of this, I can understand signing Hall on for another year or two; that would make sense as a sort of final warning for him to improve or get out. Instead, he is signed on for another five years after a decade of wallowing in mediocrity relative to the ACC and Tech baseball. Perhaps the most disappointing part of this decision is that it was made in between former Athletic Director (AD) Mike Bobinski’s departure and new AD Mike Stansbury’s hiring. The role of interim Athletic Director Paul Griffin should have been handling day-to-day operations and ensuring that all was in place for a smooth transition. It should not have been to saddle Stansbury and Tech athletics with Hall for another five years. Make no mistake: I have high hopes for Tech baseball this season, and they no doubt have the talent to make a serious impact in the conference and NCAA. Until it happens though, this move should be viewed with a healthy portion of skepticism.